At nearly 3.4 million acres, Death Valley National Park is the largest National Park Service area in the contiguous 48 states. Ninety-five percent of the park is wilderness. Recreational opportunities range from walking, hiking, backpacking, enjoying scenic drives from cars and motorhomes, to exploring backcountry roads meant for high clearance or 4X4 vehicles. Photographers and artists enjoy Death Valley's dramatic vistas and intimate vignettes. Along with spectacularly diverse scenery, there are numerous cultural and historical sites. Two of the most well known are the Harmony Borax Works, associated with the famous 20 Mule Team Wagons, and Scotty's Castle, associated with the infamous Death Valley Scotty. For more information, please see the park's website at www.nps.gov/deva. The Habitat: Low Mojave desert, desert oases, desert shrublands, and temperate mountain-range islands, some with forests, in the desert sea. The Experience: Death Valley National Park is exceptional due to its diversity, its size, and its protected status. It is a sanctuary for wildlife and wildlife habitat. 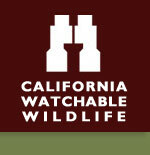 Wildlife and Where to Find It: Wildlife may be viewed from vehicle or by foot. There are many miles of roads and established walking routes in the park. There are many opportunities for cross-country exploration on foot, provided proper safety precautions are taken and Leave No Trace principles are followed. Viewing Tips: High probability of seeing waterfowl, shorebirds, and songbirds in spring and fall, and reptiles from spring through fall. Desert mammals are rarely visible during day, best chance of a rare viewing is at dawn or dusk. The park and the Visitor Center are open all year. Guided tours are offered all year at Scotty's Castle. A variety of ranger talks, evening programs, and ranger-guided hikes is offered from early November through the beginning of April. Check the park's website at www.nps.gov/deva for current programming. While most of the park is very hot in the summer, the high mountains are most pleasant then. Temperatures in the fall through spring are wonderful in the lower elevations. Site Notes: Death Valley: The name is forbidding and gloomy. Yet here in the valley, much of it below sea level, you can find colorful badlands, snow-covered peaks, beautiful sand dunes, rugged canyons, and the hottest, driest spot in North America. On any given summer day, the valley floor shimmers silently in the heat. Five months of the year unmerciful heat dominates the scene, and for the next seven the heat releases its grip slightly. Rain rarely gets past the guardian mountains, but the little rain that falls is the life force of the wildflowers that sometimes transform the desert into a vast garden. Despite the harshness and severity of the environment, more than 1000 kinds of plants live within the park. Those on the valley floor, such as creosote bush, mesquite and desert holly have adapted to a desert life in a variety of ways. Some plants have roots that go down 10 times the height of a person. Others have a root system that lies just below the surface but extends out in all directions. Some have leaves and stems that allow very little evaporation and loss of life-giving water. And, the ephemerals come and go at the whim of the rain. With increased elevation, moisture increases until on the high peaks there are forests of juniper, mountain mahogany, pinyon pine, limber pine, and even bristlecone pine. In the winter, the tops of the peaks surrounding the valley are usually snow-covered. Wildlife has also learned to deal with the heat. Animals that live in the desert are mainly nocturnal. Once the sun sets, the temperature falls because of the dry night air. Night, the time of seeming vast emptiness, is actually the time of the comings and goings of innumerable small animals. Larger animals, such as the desert bighorn and mule deer, live in the cooler, higher elevations. Included within the Mojave and Colorado Deserts Biosphere Reserve, Death Valley is an active world of contrasts and extremes. It is much more than its name. Nearby Viewing Sites: Ash Meadows National Wildlife Refuge, another Watchable Wildlife site, is just across the state line east of the park in Nevada. Seasonal: Nearly 99% of park roads are open year round. The small road segments to Mahogany Flat Campground and over Hunter Mountain usually are closed during part of the winter due to snow. Flash floods may close Titus Canyon and other backcountry high clearance roads during summer monsoons or winter rains. Occasionally, pave roads may be affected by flash floods. Check for current road conditions at the visitor center, or via the Morning Report on the park's website (www.nps.gov/deva). Updated daily, barring technical difficulties, the Morning Report provides a list of current road conditions and a current weather forecast. The park's website also features a link to the National Weather Service's extended forecast for the park. Road Hazards: Have a vehicle in good repair and suitable for the road. While there are many paved roads, some roads are recommended only for high clearance or 4x4. Vehicles should have excellent tires, a full-sized spare tire and extra food and water for travel on the unpaved and remote backcountry roads. Be Prepared. Be safe! Parking Danger: Sometimes road shoulders are limited or soft due to sand. Use good judgement on when to pull over. Pull completely off roads and only where there is good visibility - not in blind curves or dips in the road.